Based on the title of this book, you shouldn&apos;t be too confused about what lies ahead, but I&apos;ll take a minute to explain why this thing even exists. During the release of my Fred and George fanfic here on Wattpad, a discussion started in the comments about HARRY POTTER AND THE CURSED CHILD. For those who are unfamiliar, Cursed Child is a play, developed by J.K. Rowling, Jack Thorne, and John Tiffany. It brings us two decades into the future of the wizarding world and provides a new conclusion to Harry Potter&apos;s seven-book story. 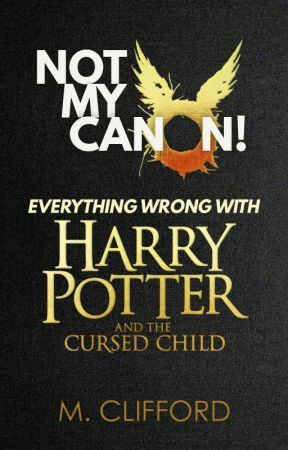 It was released to the public in 2016 and the consensus, based on a recent survey of fans, is that people generally aren&apos;t interested in Cursed Child, and that the fandom does not consider it as canon... despite that JKR has stated clearly that it is. While the reaction to the script is mixed, the production has done quite well, with numerous awards and sold out shows. So, what does that mean? 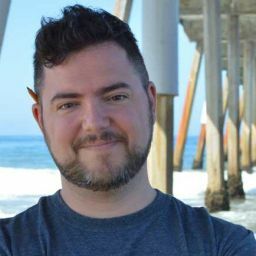 If the fans don&apos;t see it as an official addition to the series, and yet "it&apos;s a spectacular show and you need to go see it", what have we really been given? Did they accidentally make Harry Potter on Ice...on stage? If you haven&apos;t guessed by now, I am among those who were disappointed. My exact feelings were somewhere between frustration and betrayal, and I sort of decided to forget that this book even existed. The idea of me writing my own fan edit grew in popularity over the months that I finished my first Wattpad novel, FRED AND GEORGE AND THE TOILERS OF TROUBLE. And when I reached 1000 followers, a fan edit was suggested as something I could do   as a sign of appreciation for everyone&apos;s belief in me. Since then, the excitement surrounding this pet project is due in large part to the strong stance I have on the definition of canon. Seeing that the main issues presented in the play stem from the dissimilarity in canon and characterization, I can understand why there is a desire to find out if another writer with a critical eye and a lot of respect for OS-Canon could do justice to the bones of the play. But, before I could start my own fan edit, what I&apos;m calling HARRY POTTER AND THE CURSED CHILD (THE M. CLIFFORD MOD), I wanted to truly understand what went wrong. For that, I went back to the conclusion of the series in paper and film. I chose to do both a retrospective of the fandom and an analysis of the play. And that&apos;s what you&apos;re reading now. In the five to six months I worked on this book, it evolved into something I hadn&apos;t really intended from the start. But that&apos;s kind of awesome. I&apos;m known for being a serial outliner, and yet I&apos;ve been winging this to the max (I feel like I should edit that to say 2themaxx) and it&apos;s turned into a Potterhead documentary mixed with a Dummies Guide to Creative Writing. I hope you enjoy finding out why this book is titled NOT MY CANON! It gets deep, especially in the comments. And if you&apos;re feeling apprehensive because you really like JKR, realize that I do as well. She&apos;s still bae, still Queen – even when she frustrates me haha. I&apos;d only ask that you take the time to understand my viewpoints before immediately coming to her defense under the assumption that this is nothing but shade and insult. In fact, this book was very well researched, is loaded with quotes from the books, interviews, and irrefutable facts that are freely available to the public. I do try my best not to rest on opinion and more on proper source materials. I do start going off the rails near the end. But, hey...don&apos;t we all?